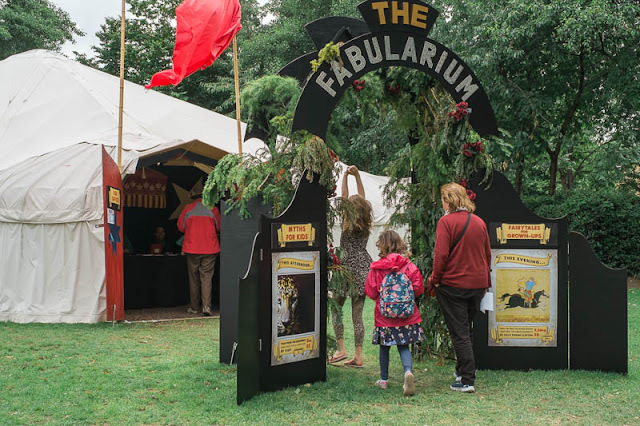 A nomadic yurt and storytellers from the Crick Crack Club, Fabularium is a pop up at Southbank, that promises to whisk kids and adults into the magical world of myths and fairytales. Add to that a competition for dressing up - let your imagination run wild. How fun! I bet it's popular with the young ones. Quite a different word, though every once in awhile yurts turn up here. We are all kids at heart, aren't we? I imagine this is quite popular, with kids and adults alike!